What's better than one camera to take one picture? Three cameras! Chinese tech firm Huawei has outdone its rivals with a new smartphone that use three cameras to snap a single photo. 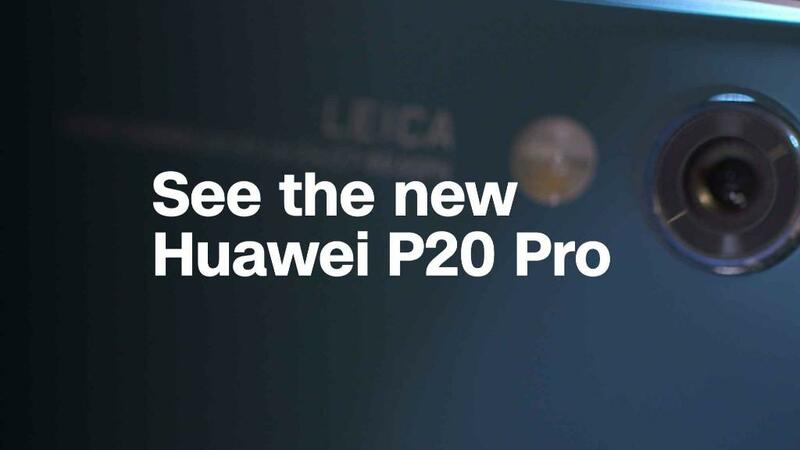 Huawei, which trails only Apple (AAPL) and Samsung (SSNLF) in global smartphone production, said this week that its new P20 and P20 Pro phones will sell for €649 ($804) and €899 ($1,115). There are a trio of cameras located on the back of the flagship P20 Pro, with one designed to work exclusively as a zoom function. A fourth camera, located on the front of the phone, can be used for selfies. Both phones come equipped with a special feature called "night mode" that allows users to take photos in dark light. Normally, a tripod would be needed to ensure the photos don't blur. 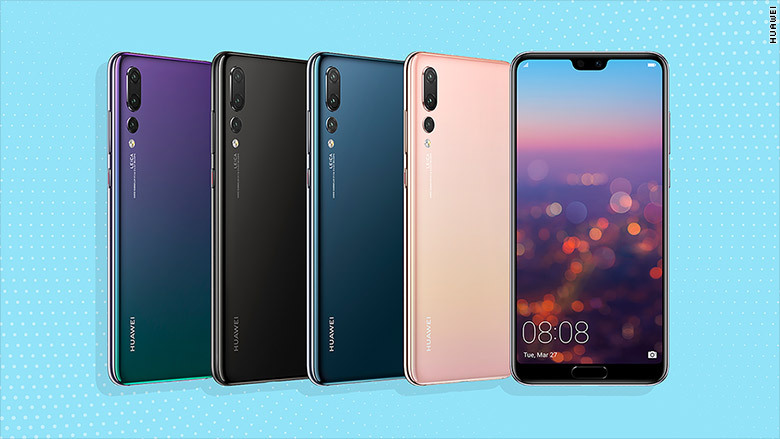 Huawei is trying to make up for a lack of name recognition in certain markets with technological advancements and eye-catching camera features. The front of both new phones look similar to Apple's iPhone X, with the screen engulfing nearly the entire phone. The P20 and P20 Pro take another page out of Apple's playbook by not including a dedicated headphone port. Earbuds instead connect through the charging port, which Huawei says will allow for a slimmer phone and longer battery life. However, the phones may be difficult for Americans to buy. News broke last week that Best Buy (BBY) has stopped ordering new phones from Huawei. The retailer is expected to stop selling products made by the Chinese company within weeks. in February, US intelligence agencies warned Americans that they should not buy smartphones made by Huawei or its Chinese rival ZTE. Top officials from the CIA, NSA, FBI and the Defense Intelligence Agency testified that the Chinese smartphone makers pose a security threat to American customers, though they did not offer any specific evidence. Huawei insisted that it "has never been asked to provide access to our technology, or provide any data or information on any citizen or organization to any government, or their agencies." The company does sell some through smaller US carriers and retail carriers like Walmart.